Tourism in Vietnam is on the rise. It is a country with a fascinating history reaching back through the decades. It is a country rich in culture with a wealth of sights to see and the friendliness of its people make it a fantastic choice for a holiday. Vietnam has come a long way and because of this has many new holiday resorts for a traveller to choose from. Wonderful cities to visit, such as Hue and its selection of international restaurants, mixing old with new, make visiting Vietnam a wonderful travel experience. 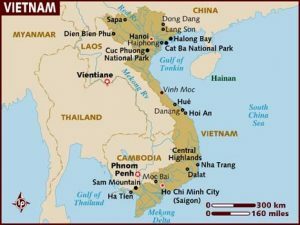 Vietnam is situated on the South China Sea. Its landscape is diverse, combining breathtaking mountains with deep rich jungles and beautiful sandy beaches. 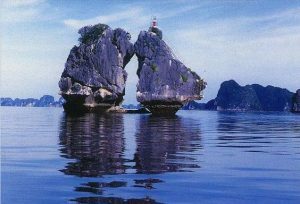 Vietnam is definitely a good choice for those who want to enjoy a wide range of experiences in one holiday. Hanoi, Vietnam’s capital city is an ideal base for holidaying in Vietnam. It has a large market, a fascinating Old Quarter boasting French colonial buildings and has some breathtaking lakes. Hanoi is a good choice to holiday all year round due to its all year high temperatures. You can expect winter temperatures to reach around 40 degrees and in the summer months the temperatures can soar to over 100 degrees. This is definitely something to bear in mind when booking your holiday – the summer months are not for people who do not enjoy extreme heat. When holidaying in Hanoi, you may consider visiting the country’s largest city, Ho Chi Minh City (formerly Saigon). It is about 1000 miles south of Hanoi but you may not want to consider hiring a car unless you are very confident about driving and do not mind the traffic. Luckily there is an intra-country air service, so driving is not a necessity and also in Vietnam you can hire a car and driver when you want to tour (the prices are very low – so this is not the extravagant luxury you might imagine!). You may also find yourself hiring a motorbike at some point as Vietnam is full of them. It is a very popular form of travel due to the high level of traffic and may add to your overall experience ! Along with Hanoi and Ho Chi Mingh City, Hue, in the southern part of Vietnam is an ideal location. The weather is constantly warm and the sandy beaches very welcoming. If you are booking a package holiday, you may want to consider a two-stop package where you can visit one of the large cities and then move on to one of the wonderful sandy beaches. This way you can experience the culture, the hustle and bustle and then have time to relax and take in the breathtaking beauty of the country’s beach resorts. You may even be lucky enough to be invited to a family event, such as a wedding or similar celebration. The people are friendly and welcoming and it is not unusual for tourists to be invited in to embrace the culture.